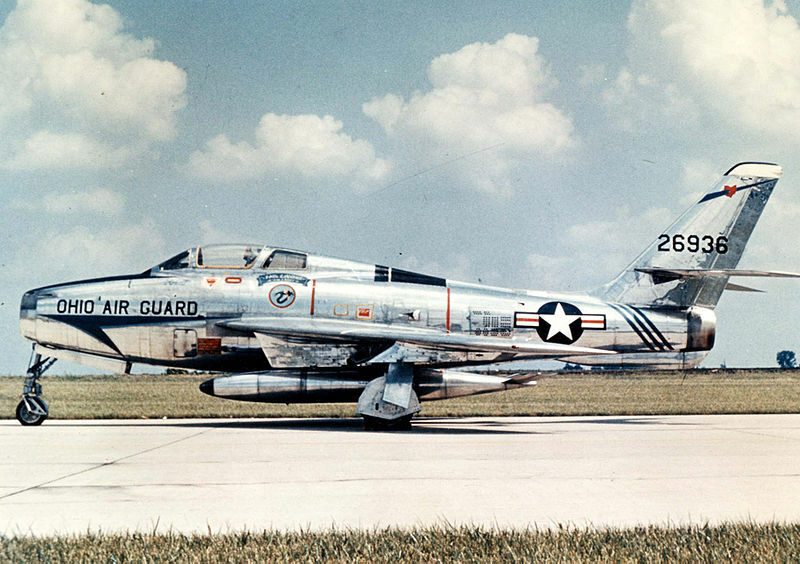 On this day in 1954, the Republic F-84F Thunderstreak entered service. The Tunderstreak was an American-build swept-wing fighter-bomber. 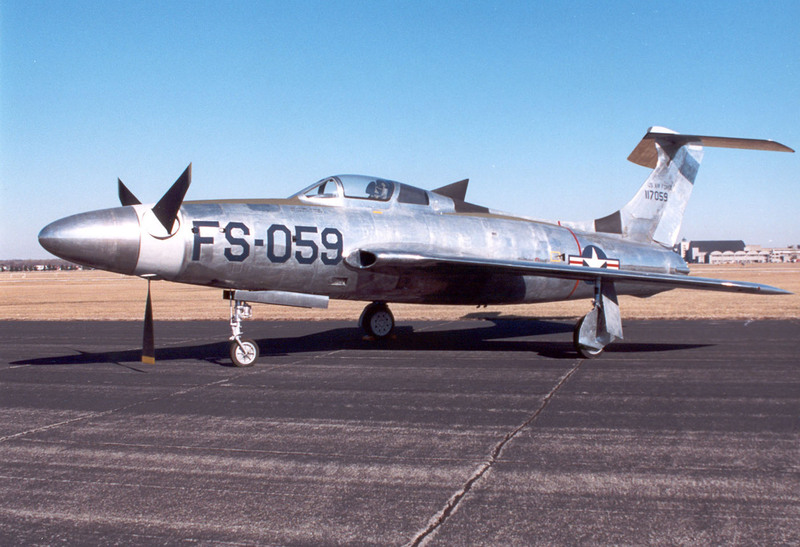 While it was considered an evolutionary development of the straight-winged F-84 Thunderjet it was still a new design. It served with the USAF until 1964 when it was replaced by the F-100 Super Saber and was flown by The USAF Thunderbirds from September 1954 until February 1957. The Tunderstream was was also operated by Belgium, The Republic Of China, Denmark, France, Germany, Greece, Italy, Netherlands, Norway and Turkey. Surviving aircraft are on display at various museums around the world, including the Museum Of The United States Air Force in Dayton, Ohio. Several different variants of the Tunderstreak were produced, most notably the XF-84H “Thunderscreech” that was powered by a turbine engine mated to a supersonic propeller. The Thunderscreech is widely considered to be the loudest aircraft ever built; the outer 24-30 inches of the propeller tracvelled at super-sonic speeds even at idle and during ground run-ups the Thunderscreech could reportedly be heard at distances of 25 miles. Below are pictures of both the Thunderstreak and the Thunderstreak.